The path to success has been a long and winding one for Markos Geneti, but it was his focus on road racing in recent years that has seen him reach his greatest success. Initially a promising track talent in his native Walega, 15 year old Markos had to put his young career on hold as he was called up to serve in the Army during the Ethiopian-Eritrean War. Following the conclusion of hostilities in 2000, Markos was able to get back to running. A year later, he won his first international title, taking gold over 3000m at the IAAF World Youth Championships in Debrecen, Hungary. He added a second age-group medal in 2002, taking silver at the IAAF World Junior Championships over 5000m. In 2004, Markos made headlines when he defeated the legendary Haile Gebrselassie over 2 Miles at the Birmingham Indoor Grand Prix, and earned a bronze medal at the IAAF World Indoor Championships in Budapest. A year later, Markos again took another major scalp indoors, defeating Olympic Champion Kenenisa Bekele over two miles. 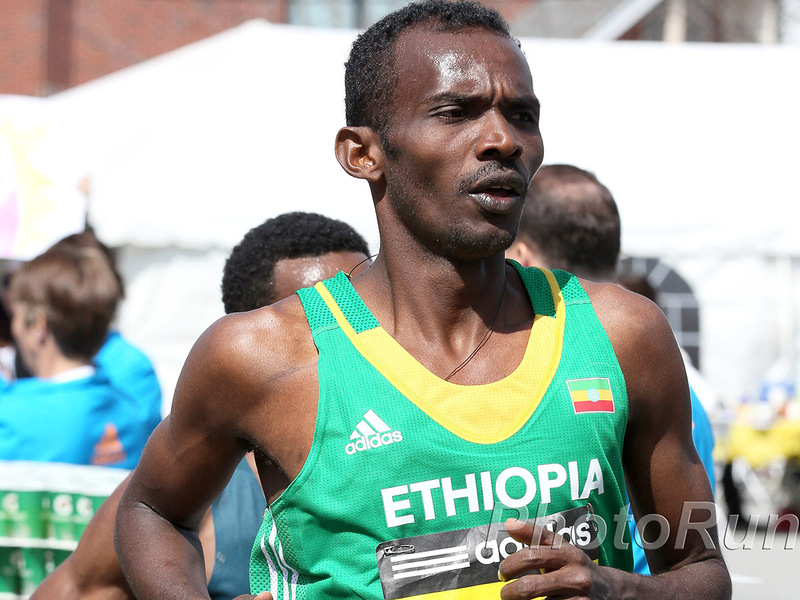 Despite his flashes of brilliance, Markos missed out on selection for the Ethiopian national team for all the major outdoor championships. By 2011, Markos turned his focus towards the marathon. In his debut at the 2011 Los Angeles Marathon, Markos demolished the competition, running near world record pace for much of the race, despite a heavy downpour, and crossed the line in 2:06:35, the fastest ever run in California. Proving LA was no fluke, Markos followed up with a 2:04:54 third place finish at the 2012 Dubai Marathon, moving him onto the all-time top ten list.